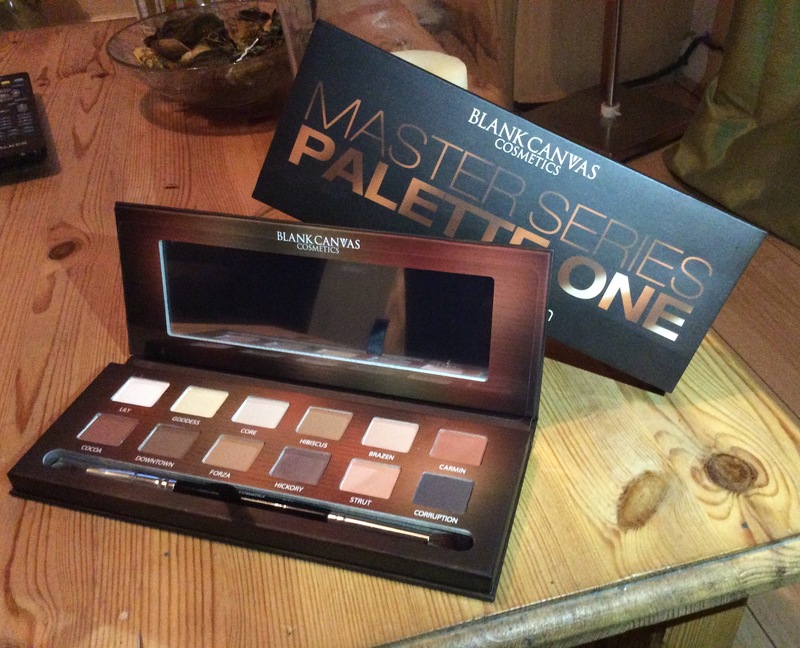 Unless you’ve been hiding under a rock, you will have heard about the Blank Canvas Master Palette. This is the brand new eyeshadow palette from Blank Canvas. It was released last week. This purchase was a complete impulse buy. The only eyeshadow palette I use is the first Naked from Urban Decay, please tell me I’m not the only one still using it ha. Other than that I have my own palettes from Inglot which I love. Anyway, I was browsing Instagram and came across a post from Blank Canvas saying the palette was officially on sale now, so me being me wanted to be one of the first to get it. What really led me to finally making the purchase was that the palette,originally €34.99, had a 30% discount, then added with a 10% code from Pippa O Connor, in total I got 40% off, so in the end with delivery(€1.99) it came to €24. How could I not get it for that. Let’s get down to what I thought about it. Packing may not be vital to some but it’s nice to have a palette that looks pretty. This one came with a sleeve, when taken off reveals a nice finished palette. It has a mirror inside,like most palettes which is a nice size. I myself find I don’t actually use these mirrors do you? Along with these colours you also get a double ended brush. One side a soft crease brush the other a small flat detailer brush. The brushes are gorgeous. Using this palette I’ve only used these brushes as they’re all you need. The blender brush is so soft and catches the colour well, while the flat brush is perfect for packing on the colour and using for the bottom lash line. A small detail that I loved is the ribbon placed under the brush in order to help get the brushes out. I love this, I don’t have the patience to be fiddling getting brushes out of tiny nooks. So for this THANK YOU BLANK CANVAS. This palette offers you 12 shades, 11 mattes with 1 shimmery tone. 11 mattes!!! I live for matte eyeshadows, they’re so wearable they work for casual day wear, straight through to a night out. The colours range from light cool browns, to burnt orange to darker shades of brown. The one shimmery champagne colour is lovely to use on the inner corners, or as a spotlight as it goes so well with the cool browns. To feel and then when on these colours are smooth like buttah. One thing to keep in mind when dabbing the brush into the pigment is that they are quite chalky. So remember to tap off the excess. There is no fall out though when they’re on which is a relief. The pigment is nice. I’ve worn these with and without primer and find they colour lasts all day eitherway. The colours are buildable and blend like a dream. Like I said this palette was an impulse buy, one that I can say I’m happy I bought. I have been using is palette everyday since its arrived. On an everyday basis my go to colours for eyeshadows would be brown and burnt orange, if you’re like me you’ll love this palette. The different shades compliment each other so well. To find an all matte palatte makes me a happy girl. And to get technically 2 new eyeshadow brushes with it is a bonus. Blank Canvas are onto a winner with this one. Let me know what you think if you’ve got this palette. I have never heard of this palette or brand but it looks so nice!